Hello lovelies, Wednesday is here so time for another nail polish, I am loving this shade and will find it hard to remove this for next weeks womnw. Firstly I adore all the Barry M Gelly polishes but this one has to be in my top 3, it is a gorgeous coral and actually gives my pasty white hands some colour to them. This would look beautiful on tanned skin or pale, it instantly makes me smile seeing it on my hands, as it is such a bright happy colour. The gelly polishes are easy and quick to go with one coat but for a more opaque look I like to apply two coats, it finishes with an extra glossy shine and gives you the shellac look. If you paint them nicely it will look like you've been to the salon, I'd recommend these to anyone as they do last a good few days too. 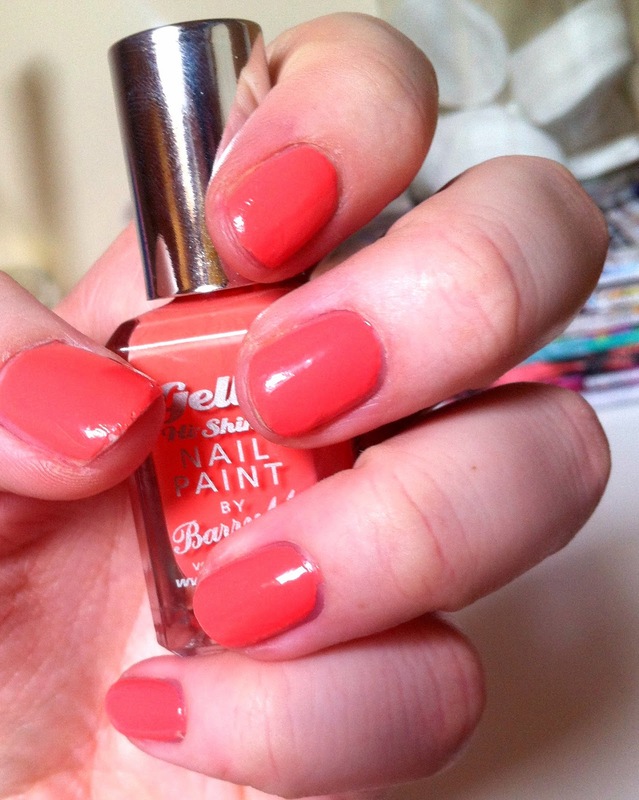 Have you tried the Barry M Gelly's?